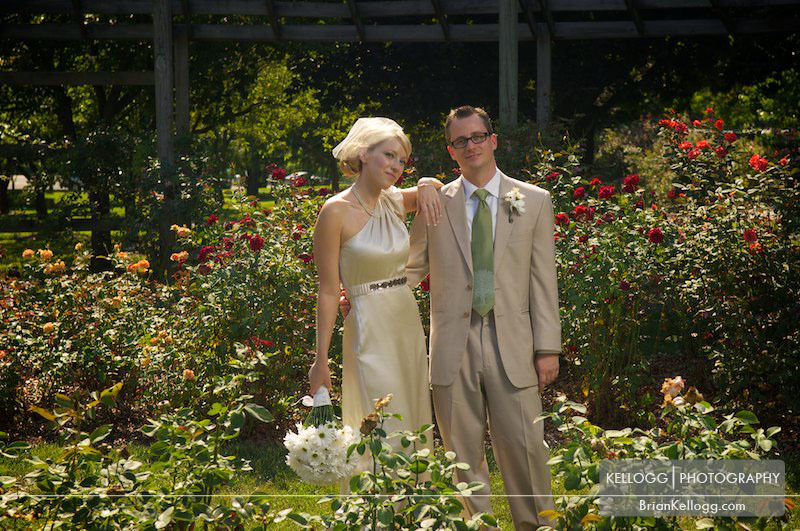 Margaux and Tyler are great friends of ours and I was so incredibly happy to photograph their wedding. I met Margaux while attending Ohio University. I met Tyler for the first time at my own wedding two years ago. They are a wonderful couple to hang out with and I couldn’t wait for their wedding. We started at the Hayatt Place Hotel in Worthington to get ready. I had Margaux meet Tyler for their first look in the lobby of the hotel. It could not have turned out any better. I left them alone to talk for a minute then we were off to the Whetstone Park of Roses. I love the Park of Roses. There are so many places for great portraiture all around the park. I love the walkways on the west side of the park and the rows of roses on the east side of the park. After taking the portraits we then traveled to Clintonville Women’s Club for the ceremony. The ceremony was held under a huge oak tree in front of the Women’s club. After the ceremony we took a few more portraits and went inside for the first dance and the reception. I loved every second of their wedding and the portraits came out so well. Below are just a few of my favorite portraits.